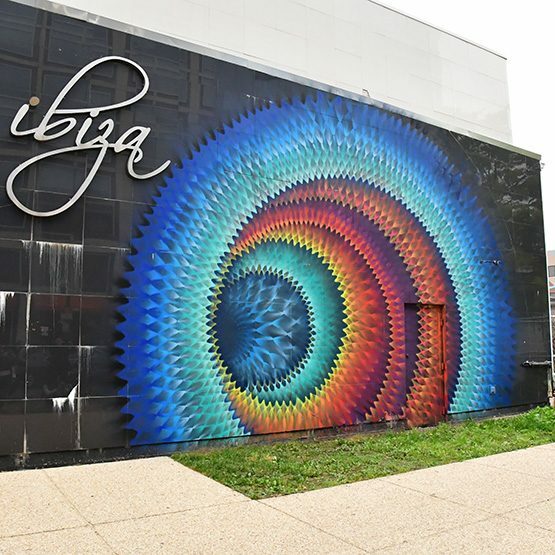 Street art has evolved into an integral part of Washington D.C.'s arts and culture scene. 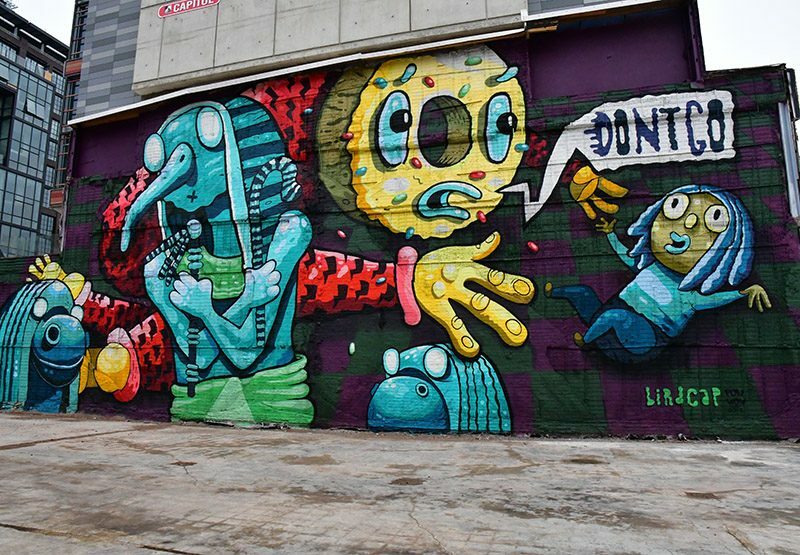 The city is constantly changing and it feels like there is at least one new mural emerging every day. 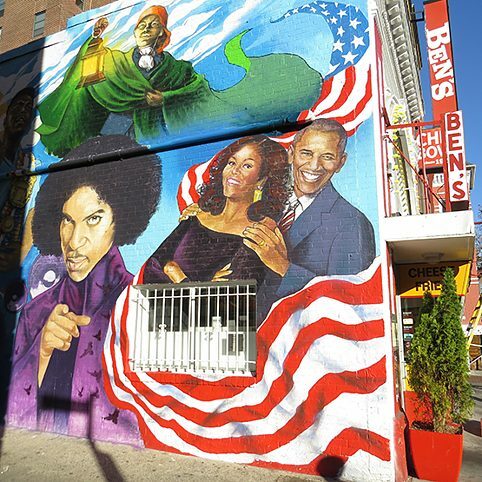 But how well do we know our city's murals? 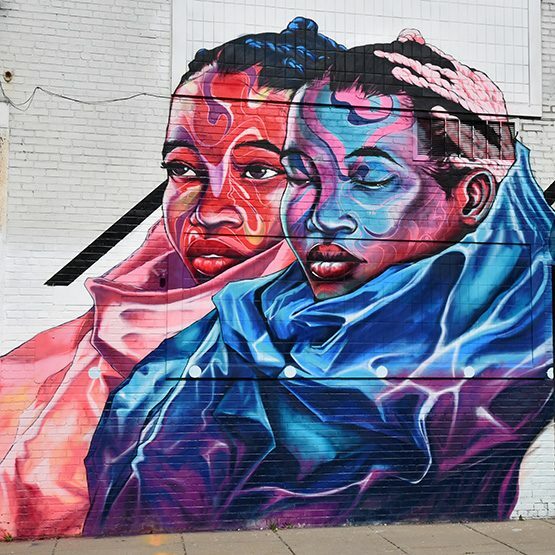 Find out by joining us on a trip through D.C.'s street art. © RJ. 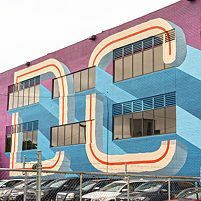 Paul With the help of students Kirsten Bollinger, Katie Condren and Michael Glickman we developed a route that will take you by several of D.C.'s most popular murals on your next walk. 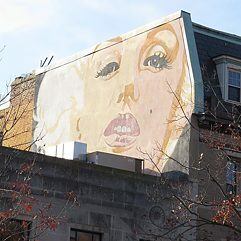 Click on the Pageflow gallery below to learn more about some of D.C.'s most iconic murals and hidden gems! POW! WOW! Washington, D.C. is the Washington, D.C. branch of POW! WOW! 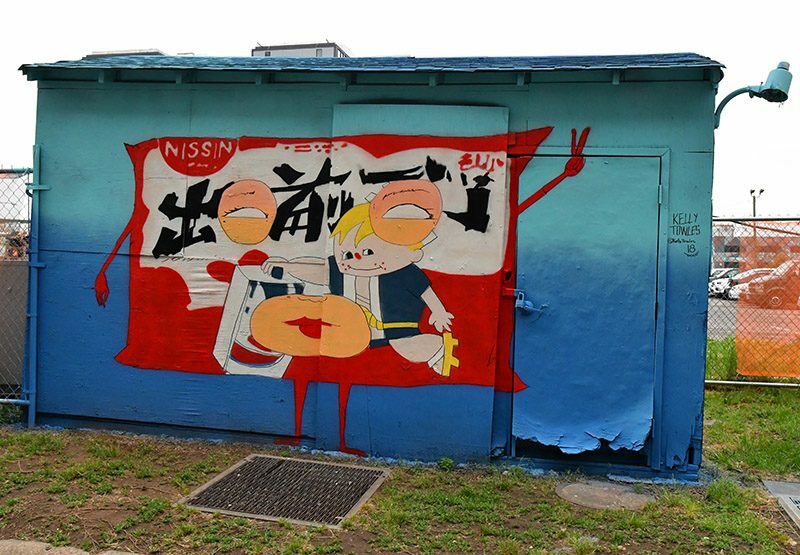 Worldwide, an international network of artists founded by Jasper Wong in Hawaii in 2010. The POW! WOW! 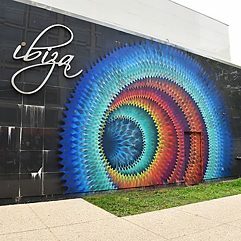 Organization works to promote art and beautify cities by uniting artists and connecting them with local communities. 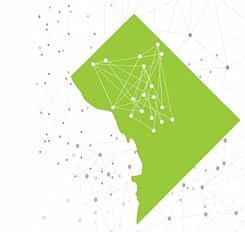 Mike Maguire, a local photographer and writer, and Hans Allner, current intern at the Goethe-Institut Washington, explain more about the network. 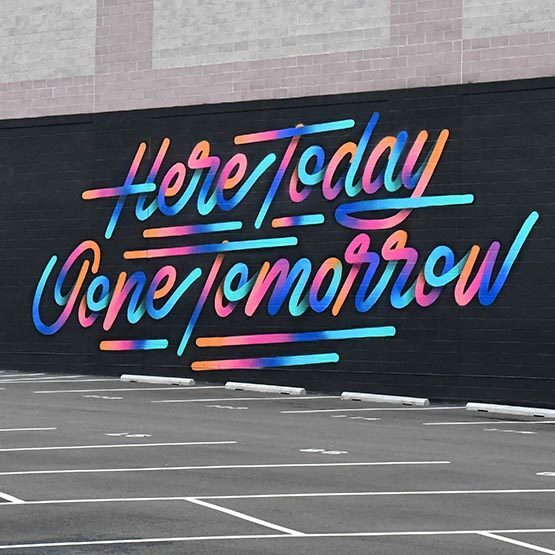 "Here Today, Gone Tomorrow" was a contribution to POW! WOW! Washington D.C. 2017 by Ricardo "It`s a living" Gonzales. 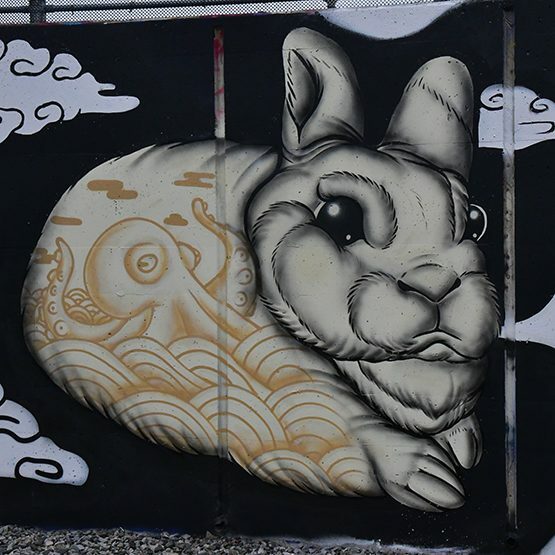 A part of Golden Rabbit Silent Monkey`s mural for POW! WOW! Washington D.C. 2018. 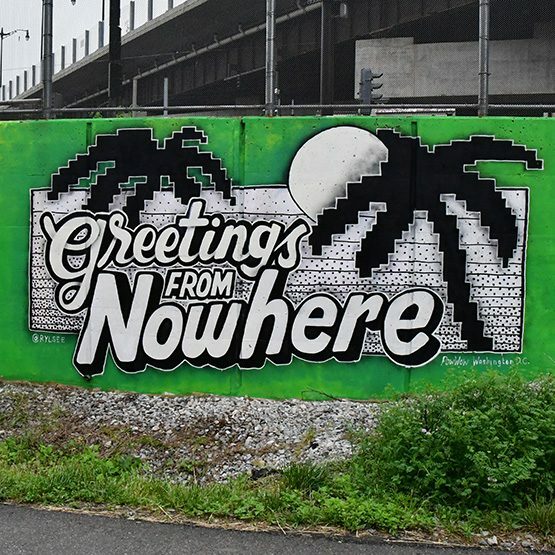 "Greetings From Nowhere" is one of Rylsee's two murals for this years POW! WOW! Washington D.C.
Douglas "HOXXOH" Hoekzema's contribution to POW! WOW! Washington D.C. 2016. 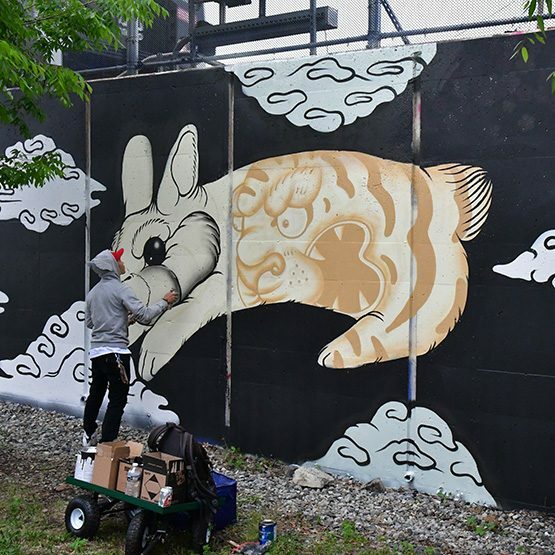 Golden Rabbit Silent Monkey works on his mural at the Metropolitan Branch Trail. The completed work of Taj Francis for this year's POW! WOW! Washington D.C.
D.C.-based artist Martin Swift working on his mural for POW! WOW! Washington D.C. 2018. 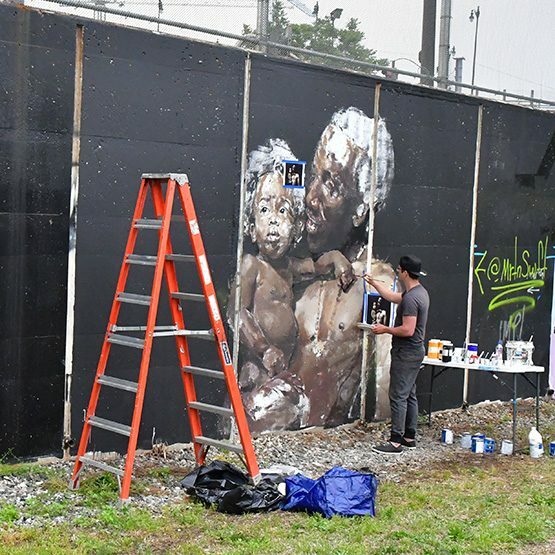 Michael Murphy completed the first sculpture-based mural in the history of POW! WOW! Washington D.C. 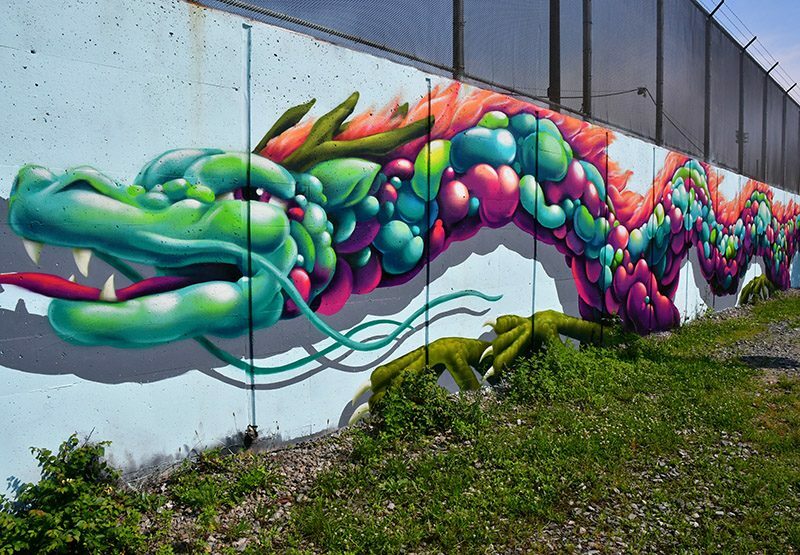 Completed mural by Wing Chow for POW! WOW! Washington D.C. 2018. 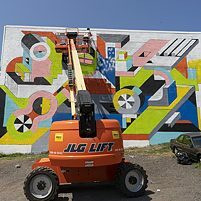 Birdcap's mural is one of the biggest at this year's POW! WOW! Washington D.C. Festival. “If you hit anything, call it the target!” is a contribituion to this year's POW! WOW! Washington D.C. by the artist Richt. 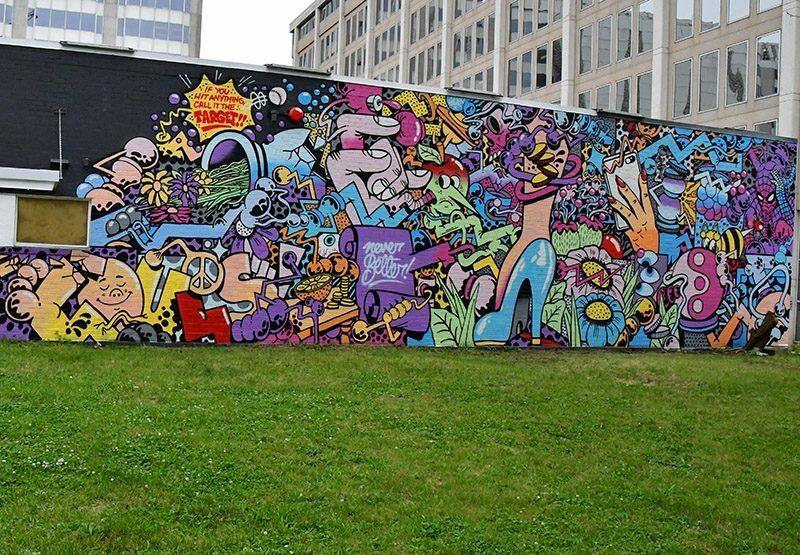 D.C.-based artist and organizer of POW! WOW! 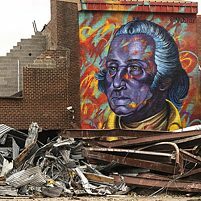 Washington D.C. 2018 Kelly Towles contributed this smaller piece to this year's festival. 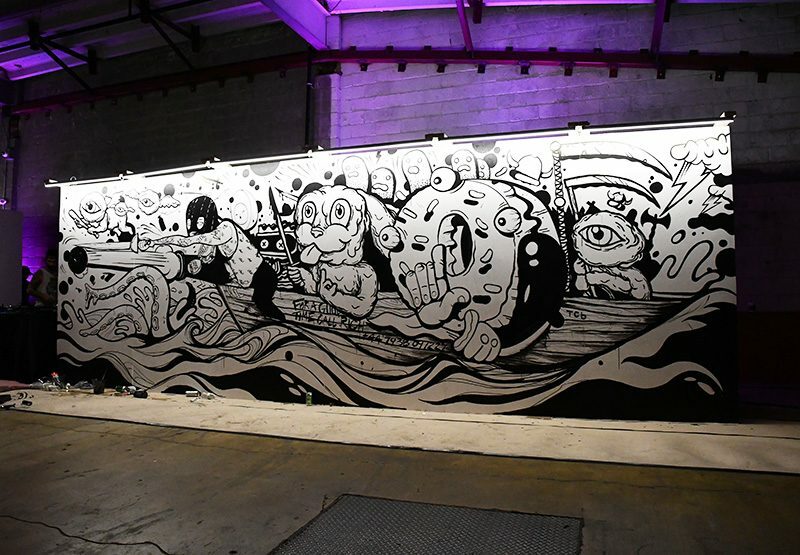 Team 1's final wall at this years POW! WOW! D.C. "Secret Walls" event. 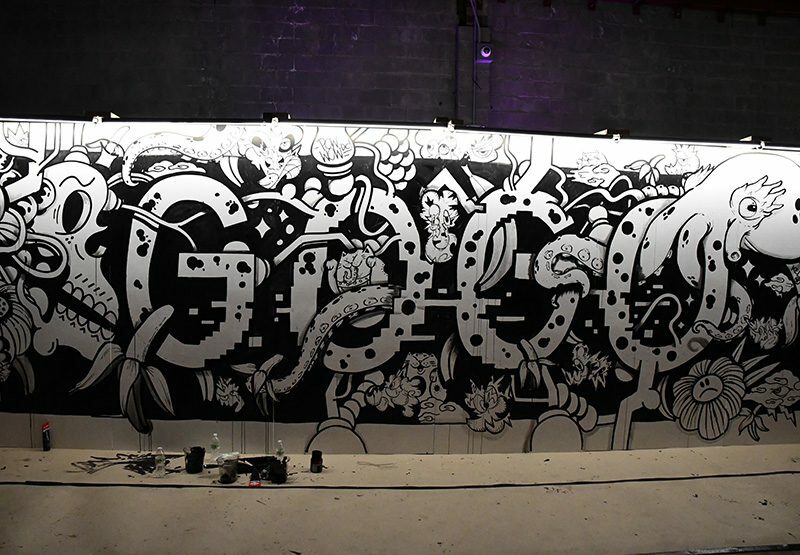 The final wall by this year's winning team of the "Secret Walls" event.